In the story of the Good Samaritan, the man fell into trouble because the man left Jerusalem (where the house of God was) to go to Jericho (cursed city, signifying the world). Similarly, we see Naomi suffering because they left Bethlehem and went to Moab – she lost her husband and also her two sons. What a price for leaving the place where God wants one to be, for turning aside from the ways of God! Even before Abraham reached Egypt he was in real trouble, and he taught his wife to tell a lie (Gen 12:11-13). Abraham feared that the people of the land would kill him and take Sarah if he told them she was his wife. He thought only of himself – of his own safety and security. (When you think only of yourself, you are already in Egypt.) His duty was to protect Sarah, his wife, but instead, he wanted to selfishly protect himself – this is the state of Egypt. Abraham was afraid to reveal his relationship with Sarah. If you come down to the level of the world and wish to adjust to the world, you become very shy of your true relationship with your brethren and even with Christ Himself. 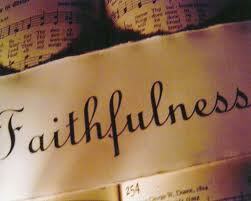 May the Lord help us to remain faithful to the truth to the very end. We are living in the last days – days of which St. Paul said that there shall be a ‘falling away’, days in which many shall turn their ears away from the truth. So let us take heed to ourselves. Let us commit ourselves to Him Who is able to keep us. “Now unto Him that is able to keep you from falling, and to present you faultless before the presence of His glory with exceeding joy”(Jude 24).